Esther Cohen brings more than 12 years of financial, accounting, and auditing experience to the Riverdale Y. She would begin her career as a public accountant for two accounting firms before working for her alma mater, Yeshiva University, as first their Senior Accountant, and then as their Accounting Manager. Two years later, Esther came to the Riverdale Y and became our Director of Finance. 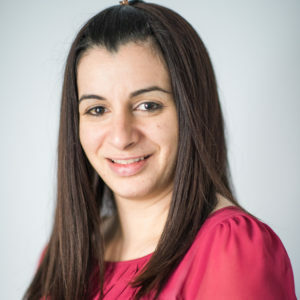 Certified by the State of New York, Esther received her Bachelor of Science in Accounting from Yeshiva University, and she is very involved in her Teaneck, NJ community, even serving as President of Sisterhood of her local synagogue for two years.